I always like to add figures to my builds to obtain a sense of scale. ICM has provided some of the best figures in plastic for some time. Their latest release is aimed at Father Winter and the German Luftwaffe. They come packaged in a sturdy cardboard box with a beautiful painting of the figures on the front of the box top. 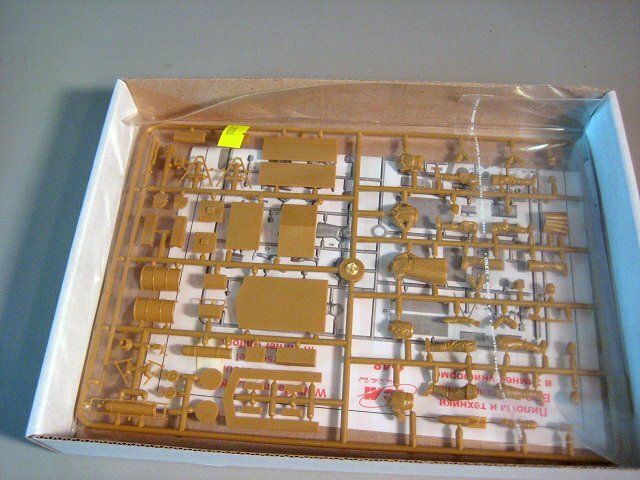 A single sprue of light tan plastic is packed in a re-sealable plastic bag. 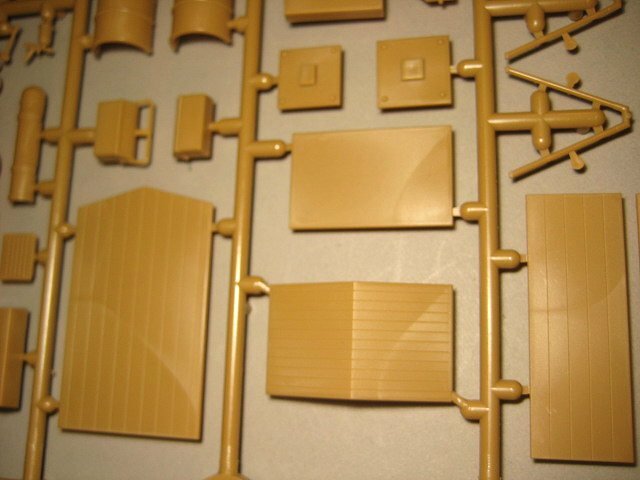 Five figures and various components of a German airfield are included on the sprue. I could find no flash, and the faces, which are the basis of a good figure, are beautifully rendered. 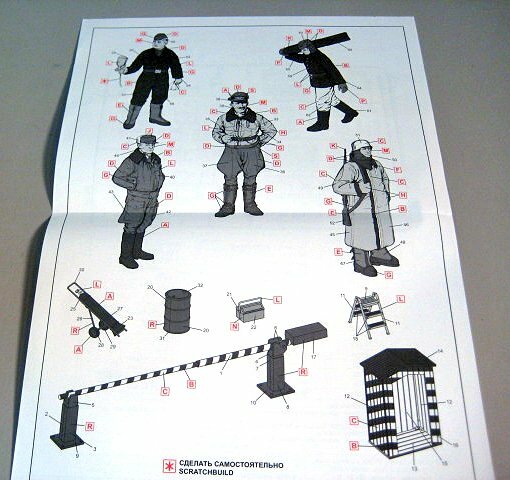 The instructions are printed on a single A4-sized page with Model Master color call outs. A parts inventory is on the front side. 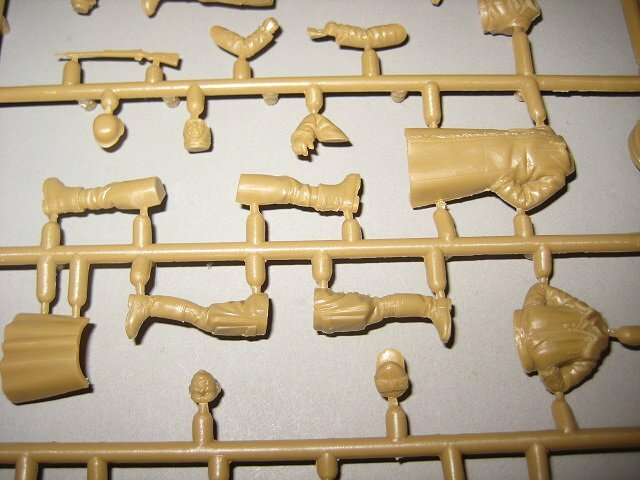 This is important, as the sprues do not have any numbers on them. You will have to reference the instructions. The back side has the five figures broken down with color call outs for each one. Each figure is comprised of approximately seven pieces. Because they are made of plastic, any liquid solvent will make assembly easy. The mold lines are very faint, so the cleanup should be relatively easy. The figures are all very nicely posed and natural-looking. The first one you get is Adolph Galland in his riding breeches and fur lined jacket. He can be used either in a winter or spring/fall setting. The next is another pilot with a fur lined coat as well. He is standing with his hands in his pocket as if listening to Galland. An armorer is seen carrying an ETC-50 bomb on his shoulder with a baklava over his ears and gloves on his hands. The next one is a mechanic with an airbrush, painting the aircraft as if applying winter white wash. With him is a compressed gas cylinder and holder. The modeler will have to supply the hose of his choice to connect the figure to the cylinder. 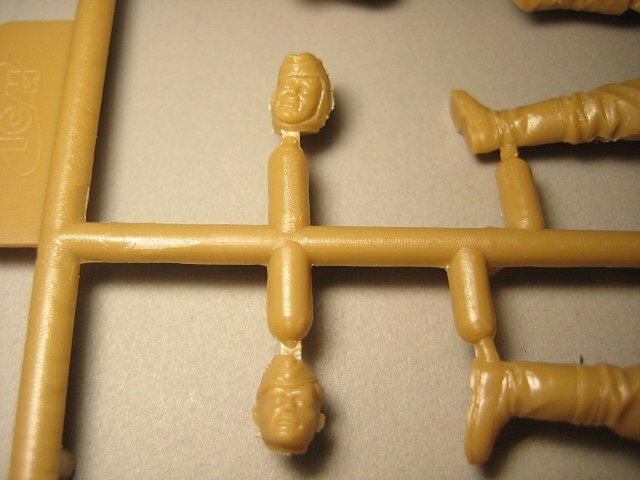 The mechanic figures have supplies as well. A tool box, ladder, and barrel are included to be placed wherever the modeler can use them. The final figure is an armed sentry complete with a guard shack and road barrier. This figure could have multiple applications for both armor and aircraft modelers. He is dressed in a jacket, gloves, insulated boots, and baklava. ICM provides yet another great package of figures and accessories. The faces are very crisp. The poses are natural and the little extras are quite nice. The parts breakdown is logical and should prove no problem for even a moderately experienced modeler. 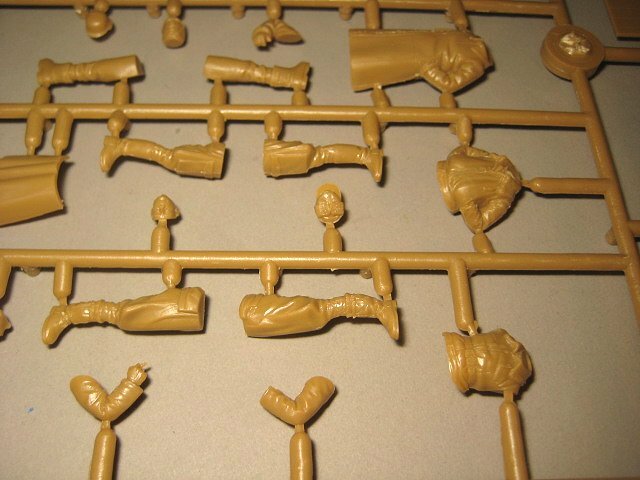 If you've ever wanted to try your hand at figures, this is a good way to start. If you are looking to add something a little extra to your modeling or expand your modeling skills, you should think to add a figure or two. 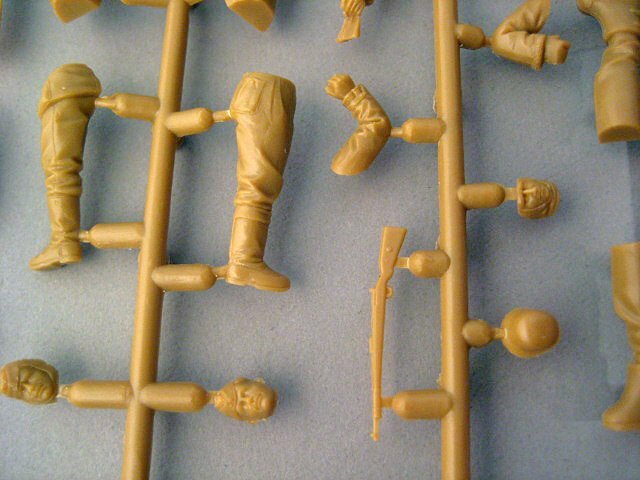 These five figures will add that little extra that will get your model noticed. You might also find them fun. I know I do, and they look so cool when photographed next to your model. Thanks to MMD Squadron and IPMS/USA for the review kit.